At the end of 1959, a small car bounced into the sixties. In fact there were two of them: the Morris Mini Minor and Austin Seven that only came with different detailing. They were soon to be renamed ‘Mini’ as that pet name exactly stood for what the cars were. Its designer, Alec Issigonis, came up with wheels in tiny 10” format that were placed at the far corners of the vehicle, so that every inch of the interior could be used. Of the more then 5.3 million Minis built between 1959 and 2000, the majority are now owned by fans, which cherish their cars. More then ten years before the Mini made its public appearance a touch vehicle with permanents four-wheel drive made its world debut at the Amsterdam Motorshow in 1948. 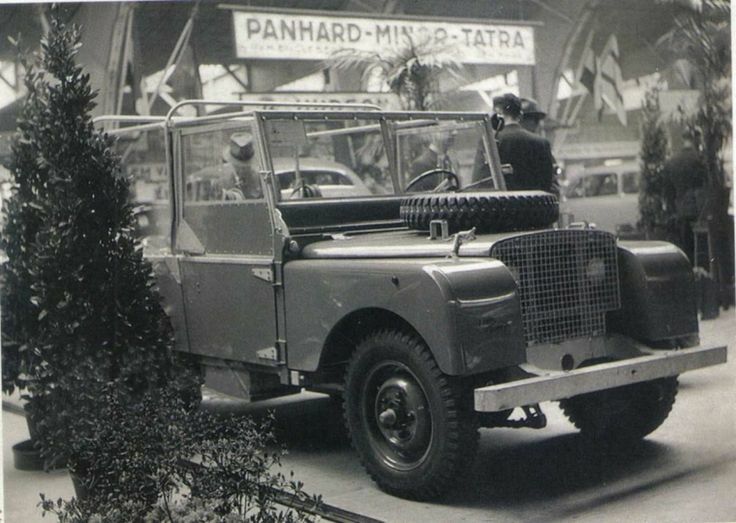 It was the Land Rover, built on the ideas of brothers Maurice and Spencer Wilks. Demand for the new car was strong from the very start, with the British Royals as one of the very first customers, who remain so to this day. As no other car, the Land Rover left its marks in post war world history. It even seems that there where history is written, there’s always a Land Rover to be found.